Vegas Movie HD Platinum 11 has just been released as a standalone program. 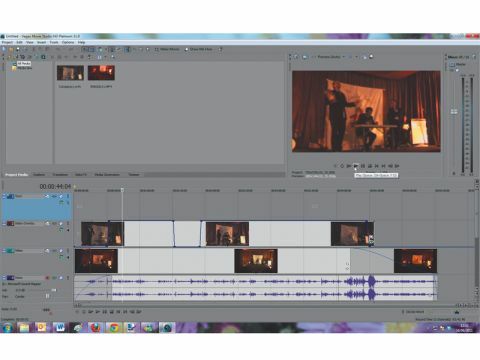 Selling for around £60, it's relatively cheap for a video editor, especially one that offers so many features – yet it's only around £15 less than the full Sony Imagination Studio Suite. The suite's edition of the software is a couple of versions old, but you also get a lot of extra tools as well. So is Vegas Movie HD Platinum 11 worth the expense by itself? You'll either be disappointed or elated to learn that one of the most significant new features is 3D compatibility. So you can import and edit 3D footage from dual-lens cameras and camcorders, and export them in a number of different formats, including Nvidia 3D Vision and standard anaglyph. You can also burn to standard 3D Blu-ray discs. As you'd expect from Sony, who has been busy trying to convince us of 3D's value, it's the most accomplished and least gimmicky implementation of 3D we've seen in a video editor, but if you have no interest in 3D, then that isn't going to sway you. New features that might make more of an impact include an increase in support for file formats, GPU-accelerated AVC encoding (which makes a big difference to speed) and a new video effects SDK for developers to create plug-ins. It's not enough to recommend an upgrade from version 10, but if you're fed up with your current video editing software and have never tried Vegas Movie, then it is definitely worth buying.